Paintless dent removal (PDR) is a technique used to remove smaller dings and dents using special tools, rods and reflective sources. It is very effective when your vehicle’s paint has not been cracked or damaged. 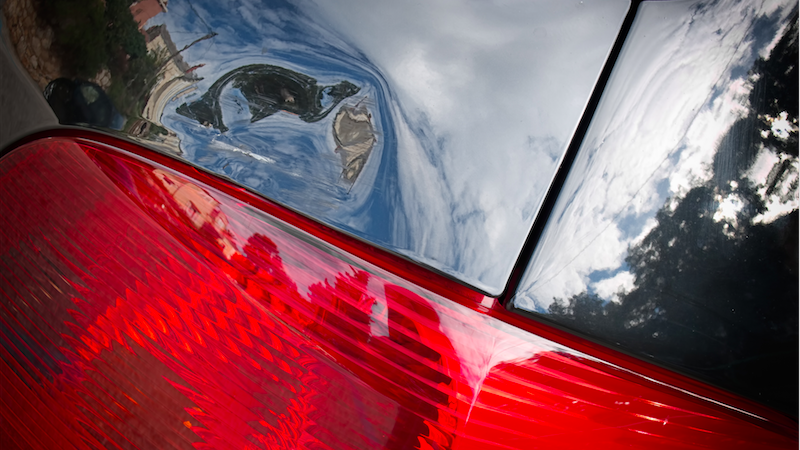 A dent is massaged from the inside of the damaged panel, which leads to an undetectable repair. PDR is a way of saving money by not having to use traditional auto body repair methods and saving your vehicle’s original finish. Car dent removal repairs start at $100.00 for smaller dings, which gives you an opportunity to save hundreds of dollars by avoiding any paintwork at our dent repair shop. Please stop by our shop for an evaluation to see if your vehicle’s damage is acceptable for Paintless Dent Removal. We are here for your hail damage repair needs. In most cases, the paintless dent removal process is used to correct all hail damage dings and dents. Sometimes, in more excessive damage situations, a combination of auto body repair and refinishing will be combined with PDR. We will work alongside your insurance carrier using our professional estimating platform to make sure you are compensated, and all damages are taken care of.